As time marches on, so does the rate at which we are losing our veterans of World War II and the Korean Conflict. Fast forward to Memorial Day, 2013. WW II vets are mostly in their late 80s and 90s; Korean Conflict vets are not too far behind them. The rate of their passing is increasing. 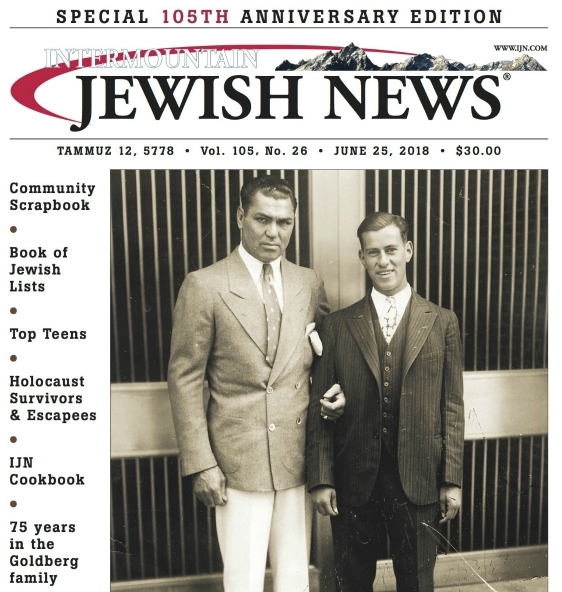 Out of gratitude, and as a public service, the Intermountain Jewish News has published the names of Colorados Jewish war dead, as well as the veterans who have passed away since WW II, for decades. The growing list appears this week in Section B (pages 6 and 7) in our May 24 issue. This year we added 45 new names to the list of deceased Jewish veterans  the number of names added has been increasing a lot in recent years. Although some of the names are those that have been added through additional research, most of the 45 men newly listed died in the past year. And most of those served in World War II or Korea. Many of these veterans memories have been preserved in books, articles and videotaped interviews. For these men and women, their military service was part of their identity. We knew this about them because they were our neighbors. As they aged, they wanted to make sure that their descendants and other fellow Americans knew what they had seen, and how they felt about the atrocities they witnessed as teenagers and young adults. Others kept their war experiences to themselves, and we only learned of their military service in their obituaries. That, evidently, was they way they wanted it, and unless we walked a mile in their boots we cannot fully understand how they processed the sights, sounds, smells and other sensations of war. Whether veterans are open or closed about their past, each is owed the same respect and gratitude for doing their part to keep America free, and to save other parts of the world from the ravages of totalitarianism and fascism. The best time to express that gratitude is not on Memorial Day, after theyve died, but to their face while they are still among us. They are aging, and were losing them too quickly. Not only are we losing a vital connection to the WW II era, we are losing the wisdom, experience and work ethic that has not been seen in any generation since. If you can, sit down with someone from The Greatest Generation. Ask. Listen. You will be richer.